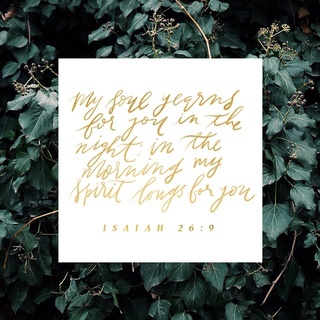 What’s your heart longing for right now? Are you longing for acceptance (from that guy, or that employer, or that friend)? Are you yearning for approval (from that teacher, or that girl, or that family member)? Or do you just want, desperately, to experience rest… (from the illness, or the chaos, or the relentless busyness…)? Sometimes I think we focus so much on what we’re longing for in terms of the ‘material’ that we forget what’s available to us in the spiritual. We become side-tracked, and ignore the fact we desperately need to stay in conversation with the Father, Son, and Holy Spirit who love us, and can offer us all these things and much more. We turn to God when we’ve hit rock bottom rather than when we’re at the top of the mountain. Rather than seeing prayer as a default, it’s our last resort. Instead of reaching out to friends, we turn inwards and bury the pain. And rather than analysing our part in our problems and owning our choices – we blame-shift and turn ourselves into victims. Instead of coming, knees bent, to the healer, we keep breaking apart. Isaiah 26:9 talks powerfully about yearning and longing, and the author is clearly placing his desires firmly in God, his Father. When we recognise that there’s only one who can meet all our needs, we find ourselves searching less for answers outside his arms. We stay secure in the Father’s embrace and receive the counsel, the love, and the healing we desperately long for. And while he isn’t a ‘genie’ that fixes everything straight away, he does offer peace, hope, and joy in the midst of our circumstances. He offers the perspective no one else can. Lord, make us brave in YOU, not our own strength. Your post reminds me of the superb Misty Edwards song. Personally I crave the chance to retire. If we were back in the West Country I’d be able to pack it all in and put my feet up…..or maybe do something more useful/fruitful with my life. Awww, sounds like a fine dream! One day! Good wisdom here. I learned this the hard way after my unexpected divorce. I had to turn my loneliness over to God and focus on that most divine relationship to become ready for a healthy human relationship. I’m sorry you had to experience divorce. I’m glad you’ve been able to lean on God and find satisfaction in his amazing love.